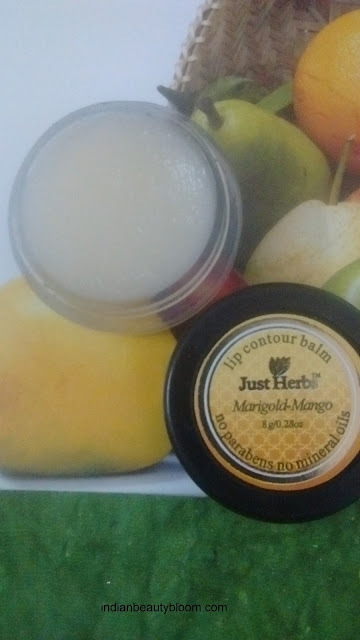 Today I am going review a Lip Balm from brand Just Herbs . Just Herbs is a brand which produces natural Skin Care products which are Herbal , Organic and Ayurvedic . They offer natural and safe skin care products . This Marigold Mango Lip Contour Balm is a type of lip balm which contains organic ingredients and does not contains any harmful chemicals or parabens . Its a white color lip balm with a nice mild fragrance . 1.Does not contains Petroleum jelly or Mineral oils . 2.Does not contains any harsh chemicals , Parabens , SLS or synthetic ingredients . 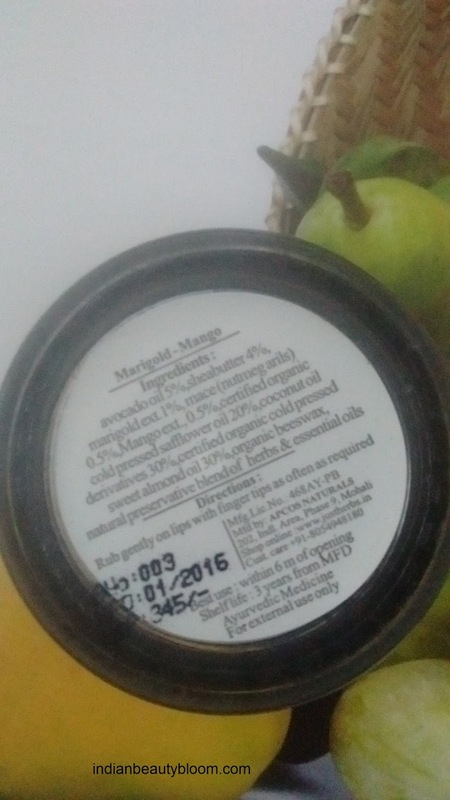 3.Contains all natural ingredients like avocado oil , almond oil , shea butter etc. 4. Good shelf life . 5.Moisturizes the lips and prevents cracking and drying of lips . Tub Packaging is not very hygienic, it would have better if it was in a tube form . The product claims to moisturize the lips , brighten dull and darken lips . 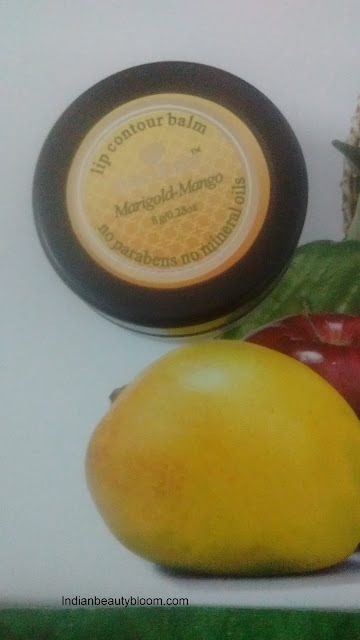 I am using this lip balm past few days , its good , completely moisturizes the lips , prevent cracking and drying of lips as it happens in this season ( Onset of winter) , So its an ideal product for winter .